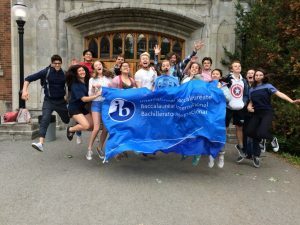 The Grade 11 International Baccalaureate (IB) students at Kingston Collegiate & Vocational Institute hosted a “Good Luck Party” for their Grade 12 peers in advance of their exams. The Grade 11s made delicious treats and spent the lunch hour with the 12s to show them that they were cared for, and that they were supported in this last leg of their IB studies. A wonderful gesture of kindness and caring that definitely contributed to the wellness of both groups!